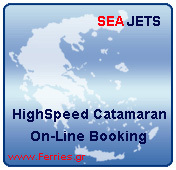 " Sea Jet 2 - Blue Power - Super Jet "
Piraeus (Athens), Tinos, Mykonos, Naxos, Santorini (Thira), Paros. 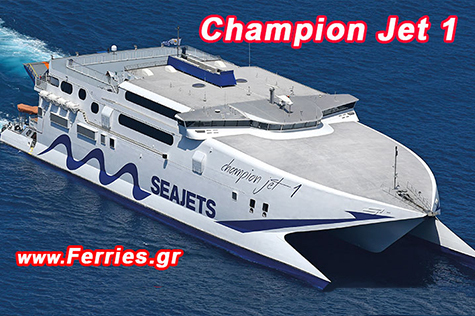 Piraeus " Champion Jet 1 & Mega Jet "
Rafina (Athens), Andros, Syros " Champion Jet 2 "
"Super Jet - Sea Jet 2 "
Santorini (Thira), Amorgos, Koufonissi, Naxos, Mykonos " Champion Jet 1 & Mega Jet "
" World Champion Jet - Sifnos Jet"
Rafina (Athens), Tinos, Mykonos, Paros, Naxos, Ios, Santorini (Thira) " Andros Jet & Aqua Jewel "
Schedules and Prices from Heraklion (Crete) to Santorini (Thira), Ios, Naxos, Paros, Mykonos. 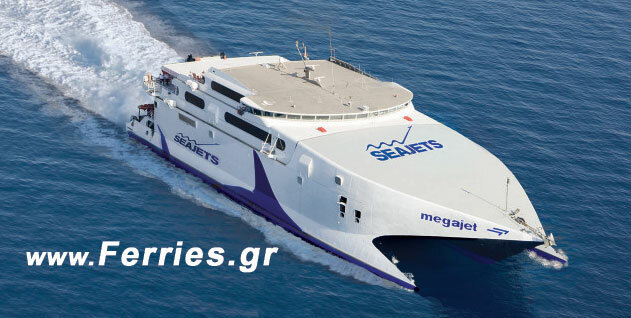 go to the link "Reservation On-line"